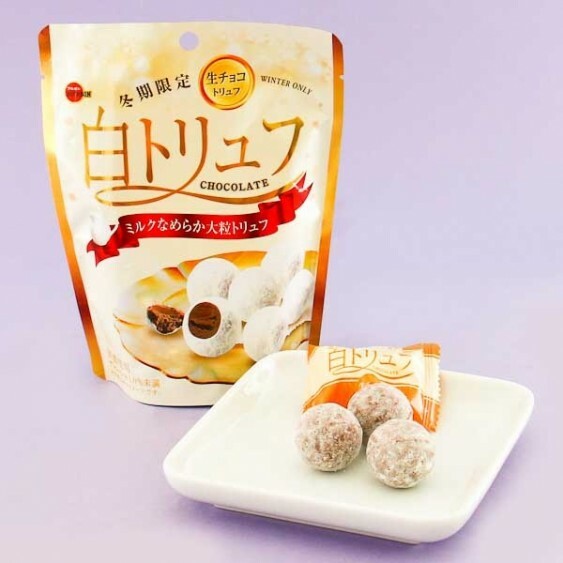 Chocolate candies that look like cute snowballs! These chocolate truffles by the famous Japanese manufacturer Bourbon are a special edition that can be bought only during the winter! The creaminess of this chocolate gets you hooked right away! If you want to share the joy of chocolate, these treats are the perfect gift for your chocoholic friends. The smooth, velvety texture and irresistible taste will satisfy your sweet tooth in an instant!